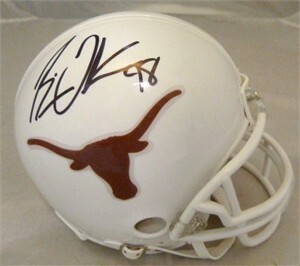 Texas Longhorns mini helmet autographed in black marker by former superstar linebacker Brian Orakpo. From a signing with Denver Autographs, with their certificate of authenticity. ONLY ONE AVAILABLE FOR SALE.